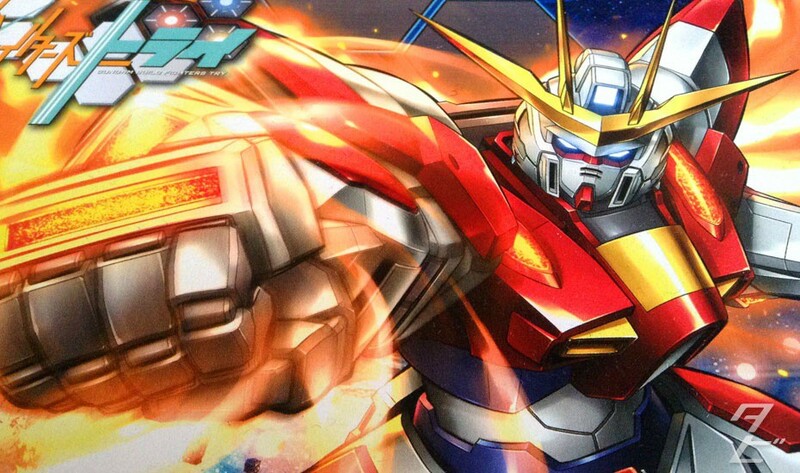 Build Burning is the leading unit from Gundam Build Fighters Try, it’s piloted by newcomer Kamiki Sekai but was built many years back by the original series protagonist, Iori Sei. 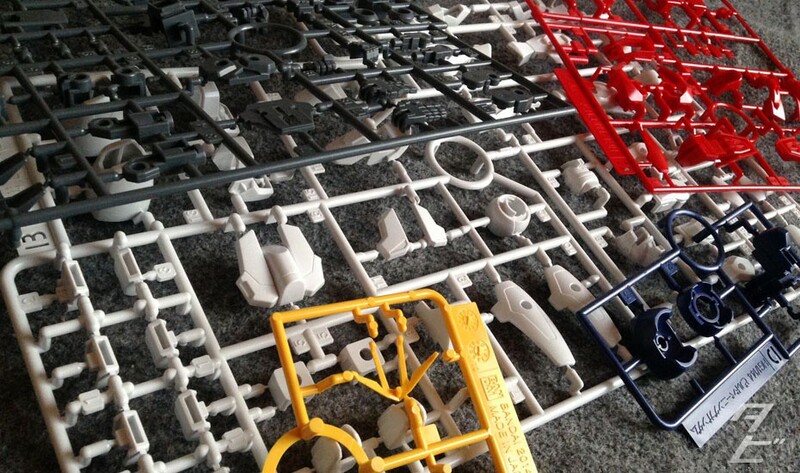 This is a very simple kit, comprised of one full-size runner then three smaller ones of varying sizes. 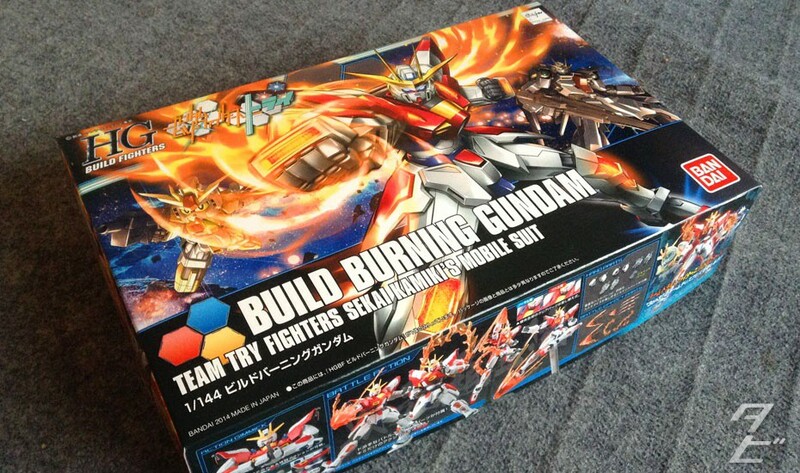 Build Burning Gundam is a melee unit so the number of weapons and extras amount to a big fat zero. But that’s ok! 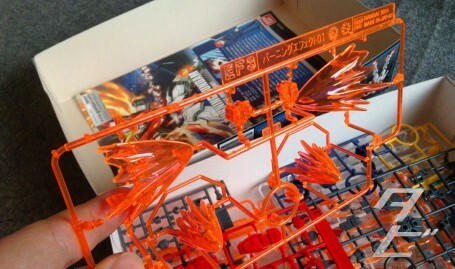 Included are TONS of clear parts which can be used to add effect to punches and kicks or just make this Gunpla look burning and super cool even when it’s standing still. The number of included foil stickers is minimal, no complaints there. 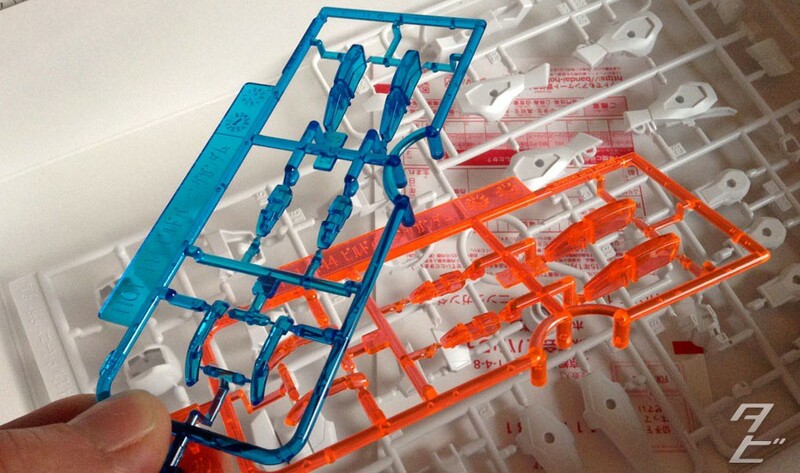 Two sets of colours for the clear parts that sit within the arms, legs and chest. I assume they’re some kind of Plavsky Particle condensers. 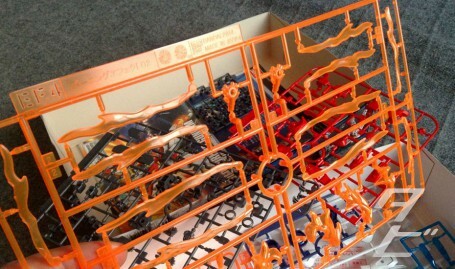 The blue is nice, but I’ll be going with the orange!